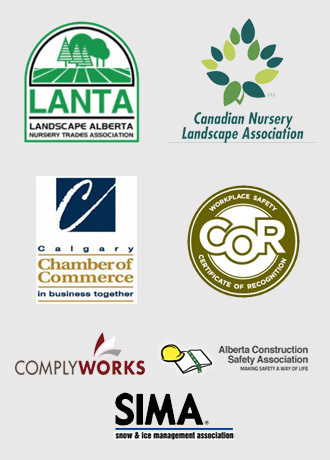 Homeowners and businesses have trusted their Calgary landscape needs to Mirage Landscaping for three generations. We are as committed to keeping our clients safe and comfortable in their outdoor spaces as we are to our high standards of customer service and craftsmanship. That’s why we want you to know about a few local plants that have the potential to cause physical harm. Alberta has another new resident making its presence known in a rather unpopular fashion. The giant hogweed – AKA Heracleum mantegazzianum – is an invasive species with the ability to cause severe chemical burns to those who touch it. Unbelievably, this native of central Asia was introduced first to Britain, and then to North America, as an ornamental plant. But in light the damage to the skin and eyes this plant can cause, it makes as much sense to have in your garden as would keeping a loose rattlesnake as your beloved pet. The medical condition that the sap of the giant hogweed causes in humans is called phytophotodermatitis. This mouthful literally means “plant-caused light sensitivity of the skin.” That doesn’t sound particularly harmful, but as they say, the devil is in the details. Upon contact with unprotected skin the sap of the not particularly tough giant hogweed, will cause red discolouration and begin to itch terribly. Within 48 hours, blisters will present themselves at all areas of contact. Worse yet, these blisters will then turn anywhere from purple to black and leave behind scars which are intensely sensitive to sunlight, exposure to which will cause secondary inflammations at the sites up to several years later. Especially alarming are cases wherein even small amounts of this plant’s sap makes its way into the eyes. Very little is required to cause temporary blindness, while a major exposure will blister up and scar the cornea, leading to permanently impaired eyesight or even total blindness in the afflicted eye. Thankfully, the City of Calgary is maintaining an active lookout for giant hogweed and we hope it will not make its way into the city anytime soon, even though the plant seems to slowly be encroaching upon new ranges with each passing year. One of the reasons for this vigilance against the giant hogweed is that like many other noxious plants or poisonous mushrooms, it looks rather like a harmless close relative. In this case, the giant hogweed casually resembles the cow parsnip, native to Canada. However, the descriptor “giant” is particularly apt in this case. The cow parsnip is fully a third less the height of the giant hogweed. The latter plant approaches a full 2m in height when fully mature and is over twice the 35cm breadth of the cow parsnip. Of course, the danger in the resemblance will be when the giant hogweed is not yet fully grown. Now that we have introduced you to one of Canada’s scariest invasive and irritating plants, let’s not forget that there are dozens of garden and landscaping species that feature irritating botanical oils or even poisonous parts, many of which are particularly dangerous to unsuspecting children and animals. What we are discussing here are not the old classics such as poison ivy, poison oak, or sumac. No one intentionally grows these rash inducing varieties. The oil that humans react to in these plants is called urushiol. It is also present in some popular ornamental trees such as ginkgo and Japanese lacquer trees. Junipers are another species with an oily sap that causes an allergic overreaction by the skin. We also remind you that several species commonly found in local gardens can be hazardous to the health if ingested inappropriately or not prepared for consumption correctly. Consuming the wrong parts of potato or tomato plants can cause severe nausea. Rhubarb leaves are toxic while the stems are not. Some people will fall ill after consuming broad beans whether they are consumed raw or cooked, others will not be affected at all. The important thing to take away is that it is good to know exactly what is growing in your garden. If you are having difficulty spotting the difference between what is an ornamental and what is a potentially dangerous weed, contact us. 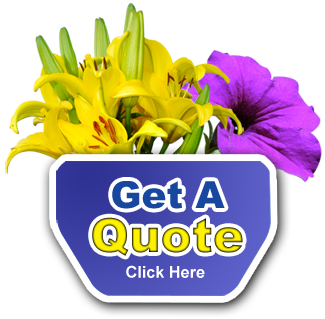 You can also get a free quote for our lawn maintenance service, to keep your grounds beautiful. We will also stand guard against dangerous plant invaders for you!